Pete Ebersole was born on June 2, 1924, in New York City, New York. 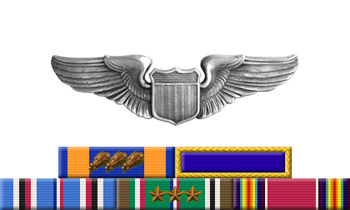 He entered a Civilian Pilot Detachment for training in July 1943, enlisted in the Aviation Cadet Program of the U.S. Army Air Forces in September 1943, and was commissioned a 2d Lt and awarded his pilot wings on September 8, 1944. 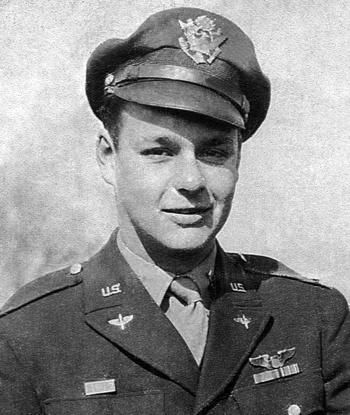 After completing B-17 Flying Fortress training, Lt Ebersole was assigned to the 709th Bomb Squadron of the 447th Bomb Group in England in December 1944. He flew 35 combat missions before the war in Europe ended, and he returned to the U.S. in September 1945. Lt Ebersole was discharged from the Army Air Forces on December 6, 1945.